10GHz transverter, 3W output <1.3 dBNF, Separate TX/RX. Assembled in enclosure. 10GHz transverter, 3W output <1.5 dBNF, Separate TX/RX. Complete Kit with enclosure. 10GHz transverter, 10mW output <3.5 dBNF, Separate TX/RX. Assembled in enclosure. 10GHz transverter,10mW output <3.5 dBNF, Separate TX/RX. Transverter PC Board Kit. 10GHz transverter, 10mW output <3.5 dBNF, Separate TX/RX. Complete Kit with enclosure. 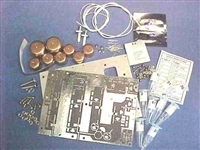 10GHz transverter Hard ware kit only. For LP Version Only. 10GHz transverter, 10mW output <3.5 dBNF, Separate TX/RX. PC Board Kit. 10GHz transverter,10mW output <3.5 dBNF, Separate TX/RX. Transverter PC Board ONLY. 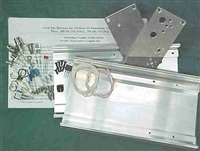 10368MHz Power Amplifier, 3W output, 23dBG SMA, Complete Kit with Aluminum pallet (no Heat Sink). 10368MHz Power Amplifier, 3W output, 23dBG SMA,Assembled in Aluminum pallet (no Heat Sink). To convert 2M IF transverter to 28MHz IF. Fully Assembled 10GHzGHz LNA 0.8dBNF nominal, 22dBG nominal. 10GHzGHz LNA 0.8dBNF nominal, 22dBG nominal.